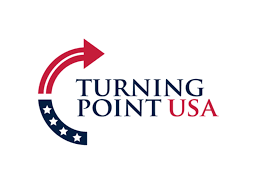 Turning Point USA is a 501(c)3 non-profit organization founded on June 5, 2012 by Charlie Kirk. The organization’s mission is to identify, educate, train, and organizestudents to promote the principles of freedom, free markets, and limited government. Since the founding, Turning Point USA has embarked on a mission to build the most organized, active, and powerful conservative grassroots activist network on college campuses across the country. With a presence on over 1,000 college campuses and high schools across the country, Turning Point USA is the largest and fastest growing youth organization in America.